gaara. i drew this. Wallpaper and background images in the Gaara of Suna club tagged: gaara kazekage naruto shippuuden young gaara shippuuden anime naruto gokage summit. This Gaara of Suna fan art might contain portrait, headshot, and closeup. 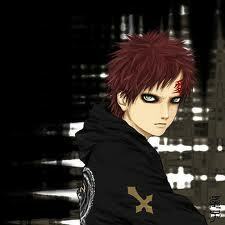 CHECK OUT GAARA'S NEW LOOK!! !